AMC has released a different kind of video for their hit series The Walking Dead, this one featuring the cast of the series marking the occasion of the show’s 100th episode and what it means to be a part of a series that has persisted for this long. 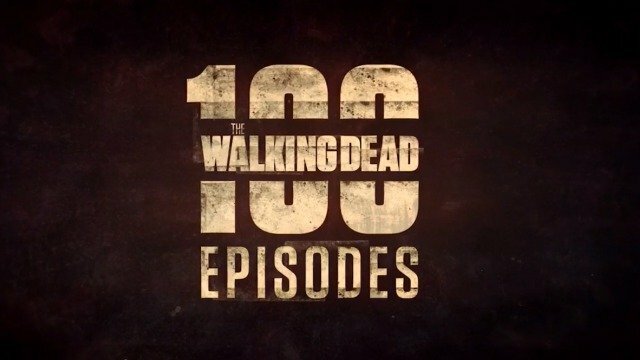 Check out The Walking Dead‘s 100th episode video below! RELATED: Comic-Con: The Walking Dead Season 8 Trailer is Here! Based on the comic book series written by Robert Kirkman and published by Image Comics, The Walking Dead reigns as television’s most watched drama for Adults 18-49. The series is executive produced by showrunner Scott M. Gimple, Robert Kirkman, Gale Anne Hurd, David Alpert, Greg Nicotero and Tom Luse. The Walking Dead tells the story of the months and years that follow after a zombie apocalypse, and follows a group of survivors, led by police officer Rick Grimes, who travel in search of a safe and secure home. RELATED: Live Blog: Try and Survive The Walking Dead Comic-Con Panel! The series stars Andrew Lincoln, Norman Reedus, Steven Yeun, Lauren Cohan, Danai Gurira, Chandler Riggs, Sonequa Martin-Green, Michael Cudlitz, Josh McDermitt, Ross Marquand, Christian Serratos, and Jeffrey Dean Morgan. Look for The Walking Dead Season 8 to premiere on October 22. If you’ve missed an episode of The Walking Dead, or just need a refresher on what happened, you can read our recaps of the series by clicking here.